Ah, Signatory. Finally the secret can be revealed. Some time ago, back in April in fact, a delegation from TWE made a trip up to Scotland, to Pitlochry and Elgin, on a secret mission. The purpose of that mission, as you might have guessed, was to buy some great casks of whisky. 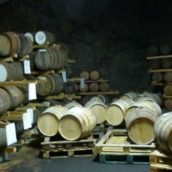 The mission was a success, and the first fruits of our labour are about to be revealed at The Whisky Show which, in case you’ve been under a rock or on top of a mountain with your fingers in your ears, will be taking place this weekend at Vinopolis near London Bridge’s trendy Borough market. 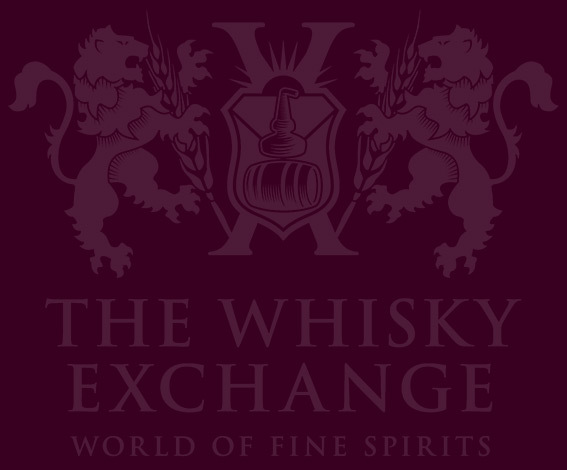 As many of you will already be aware, each year at the Show, TWE releases a raft of exciting new bottlings. This year, we’ve out-done ourselves, with around 25 new releases being launched this Friday at the Show. Yes, twenty-five. We’ve been very hard at work. Someone’s got to do it. So, what have we got? Well, there’s a brace of Karuizawas: one bourbon and one sherried. There’s the biggest raft of new Elements of Islays we’ve ever done – six in total. 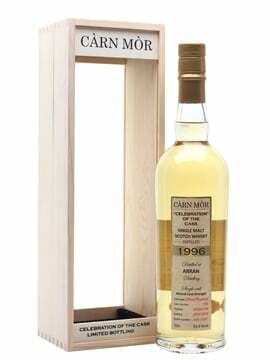 We’ve also got the third bottling in our extremely limited series of Masterpieces, after 2010’s Longmorn and 2011’s legendary Bowmore. We have a quartet of our famous TWE Retro Label editions; and that’s before we even mention the half a dozen new Single Malts of Scotland releases we’ve got up our sleeves. The upshot of all this is that, as of next week, the TWE website will have a veritable f*ck-ton of top class new releases (assuming the thirsty thousands at the Show haven’t hoovered them all up – feel free to kick yourself now if you haven’t got a ticket). 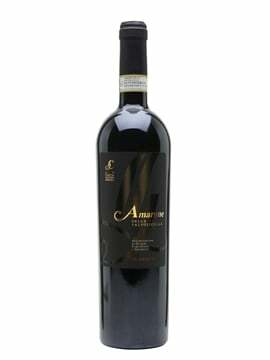 But perhaps the most exciting of all of the new arrivals is the quintet from Signatory‘s Andrew Symington. We’ve done various collaborative bottlings before at TWE, of course, but they’ve mostly been OBs. There’s our delicious Glengoyne 1990; our fabulous Midleton 1991; we’ve had single casks from the likes of Glenlivet and Glendronach; and we’ve even done a special OB Kilchoman for The Whisky Show before. Oh, by the way, we’re doing that again this year too. We’ve done one-off partnerships with other indie bottlers before, of course. A year or two ago we did a marvellous Laphroaig with The Whisky Agency, while no-one who’s tasted it will ever forget our magnificent Karuizawa 1967 that we shared with our friends and colleagues across the channel at La Maison du Whisky. But our hook-up with Signatory is the first proper full-on multiple collaboration we’ve done with an independent bottler. In a way, it’s surprising that it’s taken so long. But we think it’ll be worth the wait. 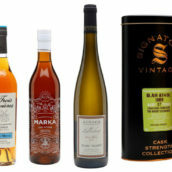 Signatory, in case you haven’t tasted much of their stuff before, are one of Scotland’s very best indie whisky bottlers. 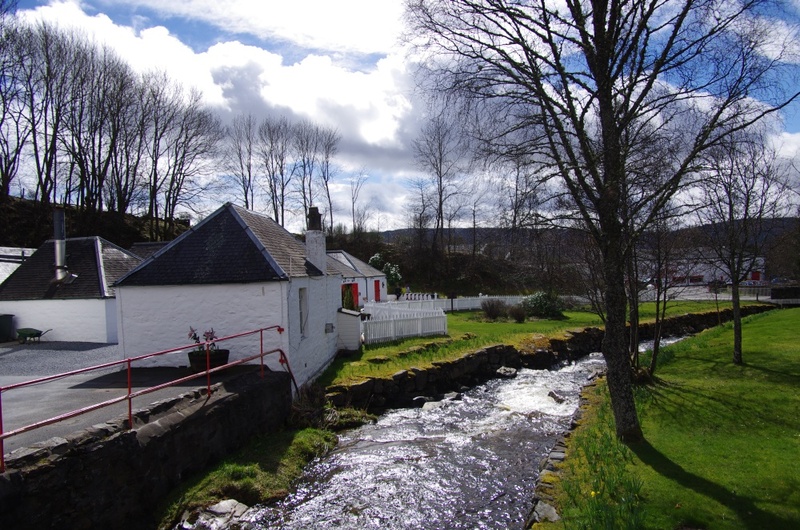 We visited them in the picture postcard village of Pitlochry where, since 2002, they have owned and run Edradour, one of Scotland’s smallest, yet most-visited distilleries. 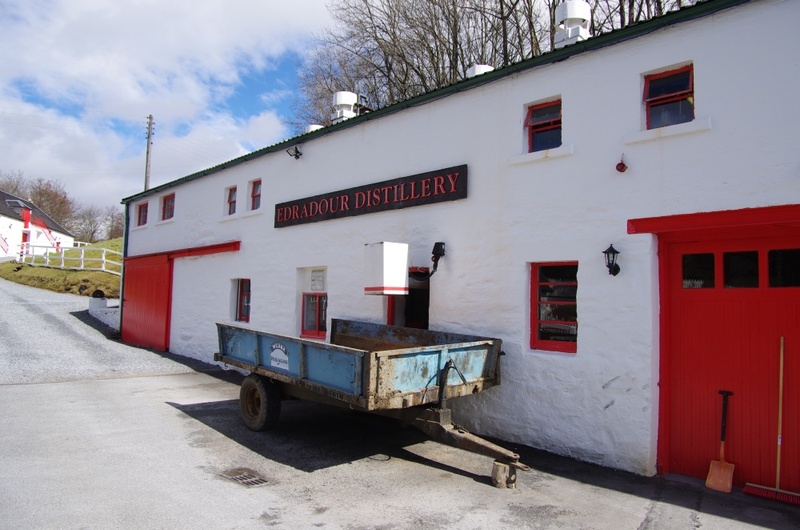 And up the hill from Edradour’s pretty distillery buildings lie some of Scotland’s largest privately-owned whisky warehouses. These aren’t the warehouses. But they’re prettier. I was gobsmacked when I encountered them. It’s like three or four large warehouses centipeded onto each other, like a warehouse solera system – it just keeps on going. These are modern dunnage warehouses, and I have to say that they were the cleanest and best-lit dunnage warehouses I’ve ever been in. It goes without saying that some of the stuff in there is incredible. Owner Andrew Symington, the driving force behind Signatory since its inception in 1988, gave us an approximate figure for the number of casks in the complex, but I’d probably better not be too specific. It was considerably higher than I’d imagined though – comfortably into five figures, which it’s probably safe to say puts them up there with G&M as one of Scotland’s largest indie bottlers in terms of stockholding. Yet we don’t hear too much of Signatory. Their wares have always been highly-regarded amongst the cognoscenti, though, and because of this fact they always sell well despite never being the cheapest on the shelves. The reasons for Signatory’s relatively low profile are manifold, but essentially they boil down to one factor – Andrew Symington does things his own way, and he couldn’t give a monkey’s about anyone else’s opinion. And his way works. He doesn’t need PR fandango, stellar reviews in whisky magazines or endorsement from the whisky blogs: the name of Signatory is enough, and it pretty much always has been. The story of Andrew’s career is eventful, like most well-lived lives, and not without its bumps. It’s a tale of financial risks, business setbacks, near-bankruptcy, family disputes – but at the crux of Signatory’s success is a simple truth, repeated: Andrew decides what he is going to do, and then does it. One gets the impression that this is a man who knows his own mind and is not lacking in self-belief. Nor should he be. 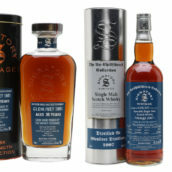 Despite never sending out tasting samples or press releases, not doing whisky shows or even having a website, Signatory’s reputation is enhanced with each successive year. This is because although the packaging may be occasionally idiosyncratic (Andrew is not afraid to admit that he likes bright colours) the quality is always there, and it always has been. 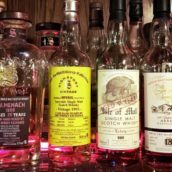 Old Signatory bottlings from the likes of Kinclaith, Port Ellen, Ben Wyvis, Ardbeg and Killyloch change hands these days for prices in the thousands. It’s been like this from day one. Signatory have always done things their own way and the quality has always been there. 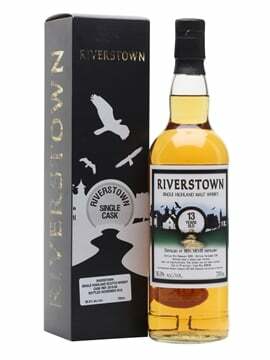 From the first cask that Andrew bought – a 1968 Glenlivet that he sank his savings into while still working at one of Scotland’s best known luxury hotels, Prestonfield House – the precedent was set. Andrew trusted his palate, took a bold risk and sold his product. These qualities of persistence, determination and unwavering belief in the quality of his product have brought Andrew hard-fought success: his distillery is thriving and his independent bottling business continues to expand. This is a company that has been ahead of the curve of most developments in the whisky world over the last twenty-five years. Signatory abandoned chill-filtration and upped their bottling strength to 46% to obviate the need for chill-filtration long before most of their competitors. I don’t think they’ve ever used caramel. So, what of our little get-together in that cavern in Pitlochry? Well, we were gobsmacked by some of the stuff that Andrew and his right-hand man, Des McCagherty showed us and selected some incredible casks. 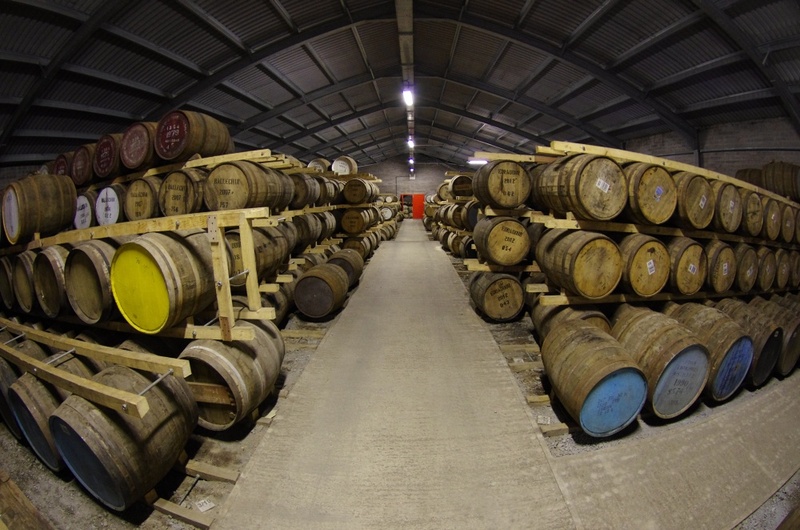 Later, once we were back, we whittled them down to the five most outstanding casks. You’ll have to wait until next week to see the full glories of our trip, but I can tell you that there are four Signatory vintage bottlings and an OB; that the oldest whisky is from 1984, and the youngest from 2006; that there are hogsheads and butts; and that the Highlands, Speyside and Islay are all represented. 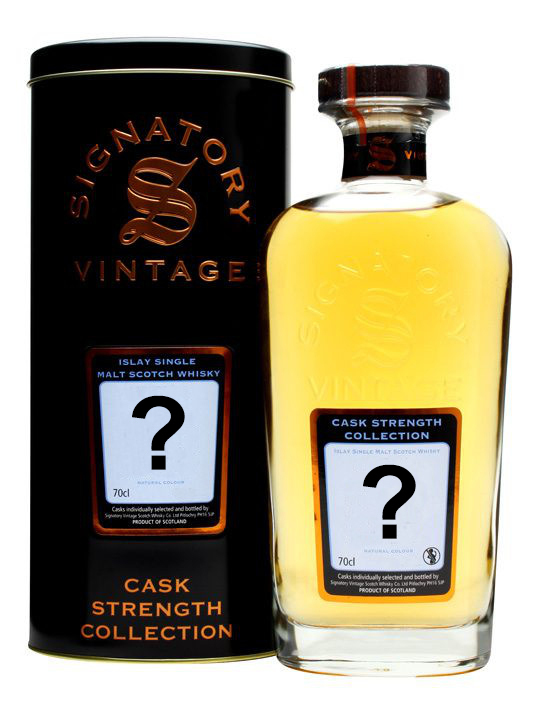 If you’re at The Whisky Exchange Whisky Show this weekend, be prepared for a rare treat, as Signatory will have a stand – I think it’s their first appearance at a UK whisky show for several years. If you’re lucky enough to have a ticket for the Show, make sure you don’t miss this particular stand. The rest of you will have to sit tight until next week, when all will be revealed, along with the details of our other bottlings. Believe me, the wait will be worth it.